In the spirit of inspiring young people to be science and technology leaders, RoboRealm is actively supporting this year's Rebound Rumble FIRST challenge. With the allowance of laptop/netbooks to be placed on the robot, RoboRealm has now become a viable vision platform for the Hybrid (Autonomous) period and human controlled parts of the competition (Augmented Driving). 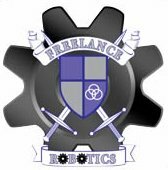 We are happy to announce that this support comes with free copies of RoboRealm for any team that chooses to use RoboRealm in some way for the competition. As the 2012 season is over you can still request download a trial copy that will expire at the time you receive the KitOfParts for the next season which will include a RoboRealm license. Kinect If you are not using the Kinect for the Hybrid period you can use it onboard your bot for a variety of uses. You will need a PC onboard to connect the Kinect to but that does increase the autonomous capabilities of using such a device. For example, did you know that the Kinect is actually an IR camera? With a slight modification you can use it to isolate the targets above the hoops with surprising results. Targeting Regardless of if you get an IR or RGB image from the Kinect or Axis cameras you will still have to process the image to extract out a target to determine the distance to the target. Tracking Once you know where and how far your target is you need to ensure that the robot or the shooter is pointing right at the target. Using the results of the previous Targeting tutorial you have enough information to perform this. Ball Recognition This tutorial assumes that you have some form of ground picking system that will attempt to pickup a ball in preperation for shooting. Automating this process of ball picking by pressing a button on your joystick will allow for rapid and precise acquition of the ball into the robot. Image Distortion Looks can be deceiving! This tutorial focuses on the issues related to distortion of images as they are created from lens that will warp and change image in ways that make that less precise that we'd like. Several teams have realized that measurements taken from images can be very different based on what camera they are using and what focal length they believe them to be. We try to address some of the issues here that are very common when working with image measurement from imperfect sources (i.e. webcams, Kinect, Axis cameras). All images used in these tutorials unless otherwise noted are courtesy of Team 443 in Denver, Colorado.